Yes, this is what we know. My interest is aimed more at the detail of this weights situation. What's the reason for the differences and the concepts behind. Is the gap of weights only result due to the engines (so....more weight on the front axle...or where?) or does it depend on various parameters? And how does it impact the weight balance of the cars....always the same distribution, e.g. 50/50 or also individual for each of the combinations? 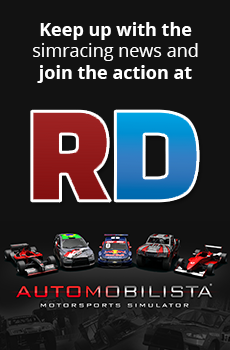 End of my story about the AI, after more investigations, the issue is coming from the s397 cars on the Reiza tracks. If I race with the GT3/GTE cars on the Reiza tracks, when I simulate the "finished" qualify session, I can see that there is 20 seconds between the first AI and the last AI (I start last without doing a lap in the qualify session). If I race with the Reiza cars on the Reiza tracks, there is only 4 seconds between the first AI and the last AI. In game, the GT3/GTE AI cars from s397 on the Reiza tracks always crash in the first lap or after, in many corners, the race is not good at all, so the issue is the AIW from the Reiza tracks is not made for the GT3/GTE cars. It's sad, I would like to use my GT3 and GTE packs on the Reiza tracks...so the issue is in the AIW of the Reiza tracks. I have noticed that many s397 tracks (Malaysia...) have trouble with GT3/GTE cars...it has been reported but s397 have not modified the AIW and won't do it (the true reputation of bugfest is again here), and I don't talk about the yellow flag issue....I'm really disappointed, I can't have a proper gearbox for my Puma052, and I can't use the s397 paid cars like GT3/GTE on the Reiza tracks. I will have a look at the ai issues by today or tomorrow. Some repetitive tests, reiza cars on reiza tracks, s397 cars on 397 tracks. Reiza on 397 and the other way round. I almost drive multiclass races. Sure accidents and mistakes happen as irl. But not that way it destroys so many races. There are lots of problems with the AI on the Reiza pack with the Reiza cars, the problems are not occuring only with Studio 397 content(see my previous posts). Regarding Imola doing qualifying helped but AI is still very slow in some parts of the track and still does by know the "Reiza overtake" when you least expect it. Set it only on black flagg and there is no more problem with fcy anymore. I've got a video on my YT channel showing how good the Ai was in rF2 and they don't have the same on/off throttle behavior they do now This was in 2016. Something has definitely changed since then. I then made one about AC and how bad their Ai behavior was, now there was a change for the better! I never said it was a direct code change to the AI. I am saying an update maybe one not even related to AI has IMO changed the AI behavior. Maybe it is the new tires, or something else. Marrs or someone even admitted a past update broke the AI with like the rain or something and they haven't been able to fix it yet. The aggression bar literally has no impact on the AIs behavior. no thanks, many bugs have been reported since 2017 and in Q1 2019, no update although s397 has said they will fix them. No thanks, rF2 is a bugfest, my only fix to have a propper gearbox, good AI with no brake on/off and no crash, no issue with yellow flag, is to use AMS ! I will be happy to post all the bug reported and how s397 has said first they will fix them then 2 years later with no changement they have said offlne is not a priority.... let's bash rF2 ! Thank you for your update, I appreciate very much your work. Just to be clear, update has not been deployed yet. Great new Renato. I love you guys! for all the Reiza team ..... Thanks for the update, but also for the consideration you have towards your users !! Is there an estimated date when the update will release?